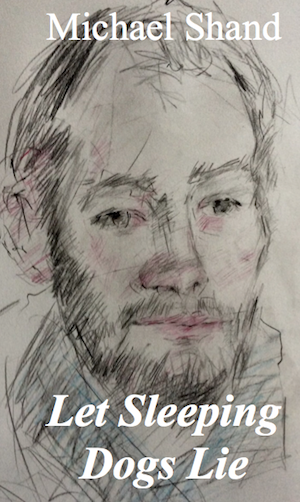 This year is the centenary of the UK’s oldest literary award – the James Tait Black Prize. I had the privilege to be one of the readers for this year’s prize, and it was gratifying to see that one of the books I read and reported on, Murmur by Will Eaves, has been placed on the shortlist of four titles from which the winning book for the fiction prize will be chosen. I have to admit I was very hard on the book in my report to the judges, but I’m glad that they were able to support it. I’m looking forward to attending the prizegiving at the Edinburgh International Book Festival. Categories: Agency | Tags: #JTB100, announcement, books, Competition, fiction, James Tait Black, news, shortlist, writing | Permalink. Luka Vukos’s award-winning short film Lose like a Human (2018) is now viewable on YouTube. It’s basically a two-hander, but with frills, on the subject of artificial intelligence, and well worth a watch and a thumbs-up. Click on the title image above. Categories: Agency | Tags: AI, announcement, Artificial Intelligence, film, Movie, news, sci-fi, script | Permalink. It is unusual for the agency to flag up a book before it’s even written, but these are unusual times! And having said that, it’s a work of non-fiction, so bringing it to the attention of publishers whilst it is still a project is quite legitimate. First of all, let us introduce the author, Dr. Uwe Schütte, Reader in German at Aston University. Already widely published in German and the author of more than fifteen academic monographs and trade books on pop music, he has recently made a foray into the English language market with W.G. Sebald, an introduction to the writer – his PhD supervisor during his student years – in Northcote House’s ‘Writers and their Work’ series, now appearing with Liverpool University Press. His excellent introductory collection/edited volume German Pop Music: A Companion appeared in 2017 and he has also been asked by Penguin to produce a general introduction to Kraftwerk, the German pioneers in electronic music, which should be on the bookstore shelves in 2019. In 2015, Uwe in conjunction with the artistic project Der Konterfei brought out a book in German about the alternative performer/artist/occultist/personage Genesis P-Orridge, and it is the English re-writing of this book that is the project for which we now want to give advance notice! As noted above, this is no hagiography. Uwe is both deeply fascinated by and highly critical of Orridge, praising his unique and uncompromising art but questioning personal attitudes, statements, and actions at the same time. Because of this stance situated between worship and condemnation, the German version has sold and sold and sold. 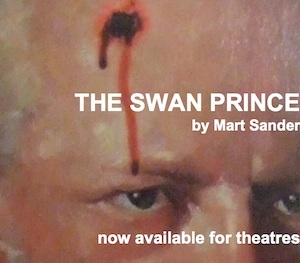 So we are looking for interest in advance from a UK publisher who is willing to be daring. Fans of Orridge and people interested in his involvement in Magick will buy it, even if they find the writer’s approach challenges them. As will everybody with an interest in industrial music and Crowleyian Magick, as well as radical art in general. 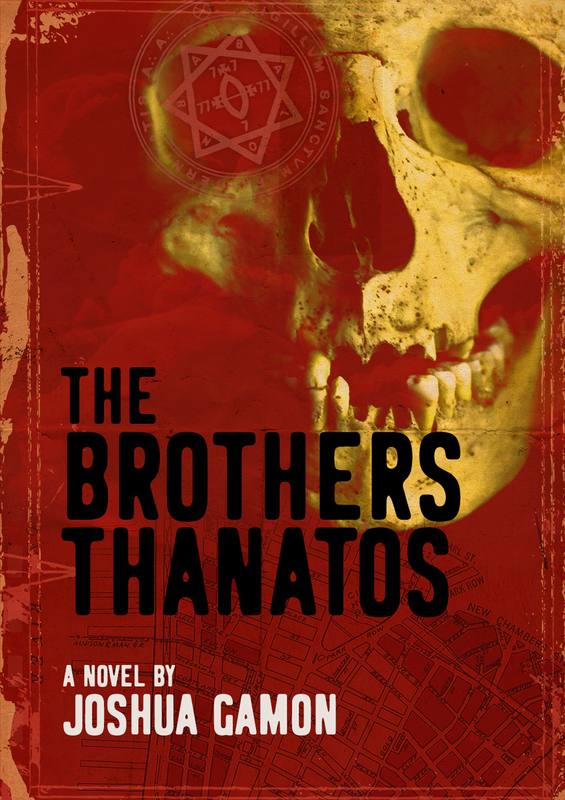 Bookseeker Agency would not handle this book if it were simply a banner-waver for Orridge, Magick, and so on. The fact that Uwe Schütte is prepared to take a bold and uncompromising line with a bold and uncompromising subject is what makes us willing to present it to publishers. We are delighted and privileged to represent Dr. Schütte. Categories: Agency | Tags: announcement, author, industrial music, magick, news, writing | Permalink. 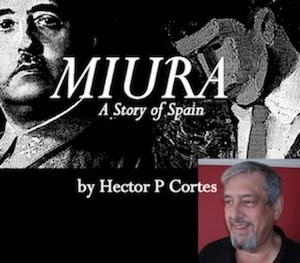 ‘Miura’ by the late Hector P Cortes to be published! We are delighted to announce that a contract has been signed, for a commercial publishing deal that allows an intriguing and exciting novel to be published. The author, Hector P Cortes, was a musician who had worked in Spain, Austria, France, Italy and the UK. He was honoured by the London College of Music in which he studied, being given an Honorary Fellowship for “distinguished services to the art of music”. He was invested a Knight of the Military Order of the Temple of Jerusalem (Templars) for the same reason, and rose to the rank of Knight Commander. He is mentioned in Baron’s Who’s Who; the 500 Great minds of Europe, and was an honorary member of the University of Malaga. He was a conductor, accompanist, soloist, recording artist, lecturer, and also Founder and Bandmaster of the Regimental Band of the Royal Gibraltar Regiment. When Hector decided to retire as a musician and devote his time to writing, he settled in the quiet rural town of Westbury, in Wiltshire. His wife Johanna, a soprano who has sung all over Europe, and has been given rave reviews by the Press everywhere, also decided to retire along with him. His death was a great loss to his family, and to this agency. Miura: A story of Spain traces the life of two boys – one a doctor’s son the other a Gitano – from the aftermath of the Spanish Civil war until the death of the dictator Franco. Part romance, part adventure, part political, part historical, the novel depicts injustices of Spain during the dictatorship. The Gitano‘s story is a rags-to-riches one, as he becomes a famous bullfighter; his story is not a happy one, however. The doctor’s son becomes one of Spain’s top surgeons, and learns at first hand the dangers of being too close to the dictator. A riveting read, it is ideal for a general adult readership. With many thanks to Hector’s widow, Johanna, and his daughter, Daniella, the reading public will at last gain access to this wonderful book! Categories: Agency | Tags: announcement, authors, books, fiction, news, publication | Permalink. Eloise Hellyer: An opportunity for publishers of musical books! The agency is acting for longstanding violin teacher Eloise Hellyer‘s book aimed at teachers of musical instruments. The book, working title Inspired Teaching, is currently out at selected specialist publishers. However, if you’re a publisher, and you happen to be reading this, and you are interested, then please do get in touch and ask to hear more about the project. Eloise with her first pupil – her daughter – here aged 3. Eloise is a violin teacher who lives and works in central Italy. Born in Chicago, she studied the violin privately with Edgar Muenzer, Hannah Armstrong and Ludwig Schmidt. She has a B.A. in Greek and Latin from Beloit College and did graduate work at Loyola University in Chicago which she interrupted when her first baby/student was born. Eloise started teaching her own children when she moved with her family to a remote part of the Middle East where there were no music teachers. She took method courses whenever she could get to England. When the family returned to Italy, others asked her to teach their children, too. She started working on this project almost twenty years ago when a student’s father, film score composer Randall Meyers, strongly suggested she do it. Eloise is also a life coach, mentor and the author of the award winning Violin Teacher’s Blog. “Teaching is a spiritual activity,” she says. Musical instrument teachers have the most intense one-on-one and long term relationship with students, more than any other teacher in a child’s life. But are these teachers prepared for the task? Sadly, not really. Many are trained performers who teach out of financial necessity and may quickly find out that there’s a lot more to teaching than just giving information. What is teaching, anyway? What are the principles behind it? And, most importantly, how do you avoid ruining your students? The aim of this book is to save children from the didactic experimentation and inexpertise of young – and even older – music teachers, and save them years of confusion, by giving lots of practical advice. Eloise patiently guiding a young student. Categories: Agency | Tags: announcement, authors, books, music, musical instrument, news, teaching, violin, writing | Permalink.